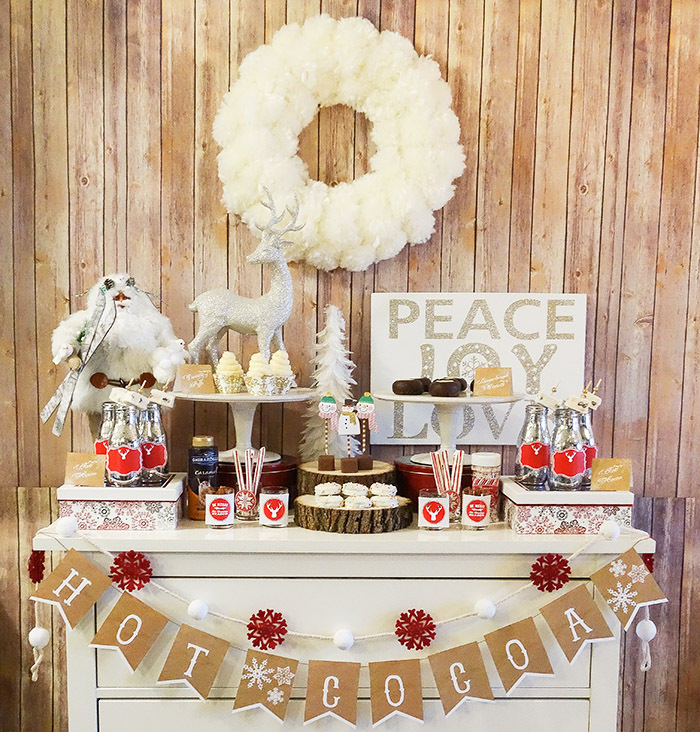 Lovelies, we are getting into the holiday spirit today and warming up with a hot cocoa bar! 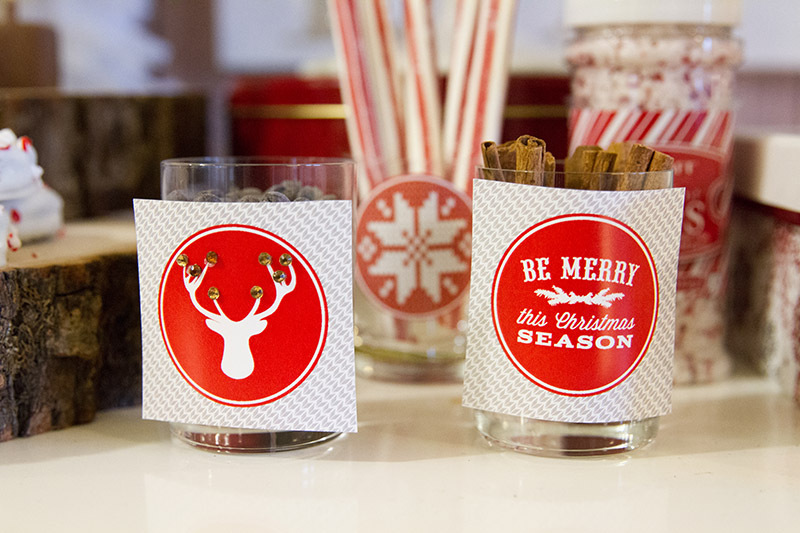 Hot Cocoa is always one of our favorites for the holidays. We love them at holiday parties too. 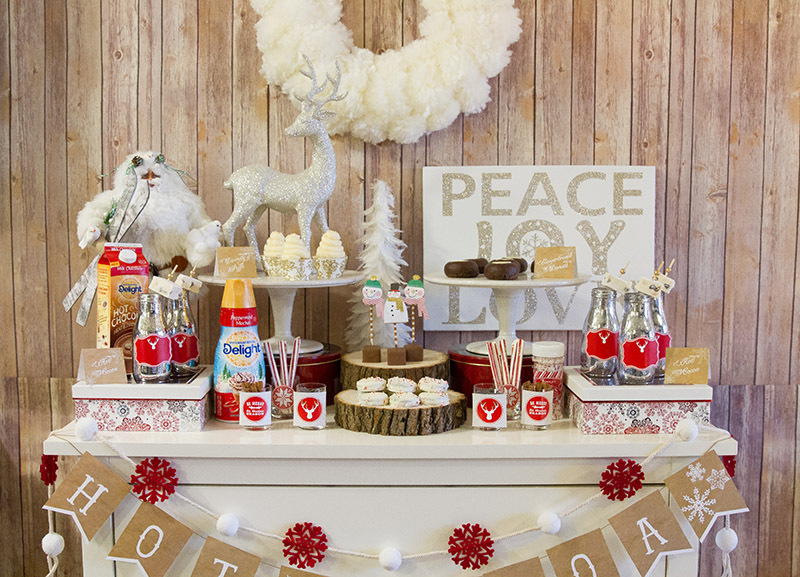 Having a hot cocoa bar at your get togethers really makes your guests feel cozy. 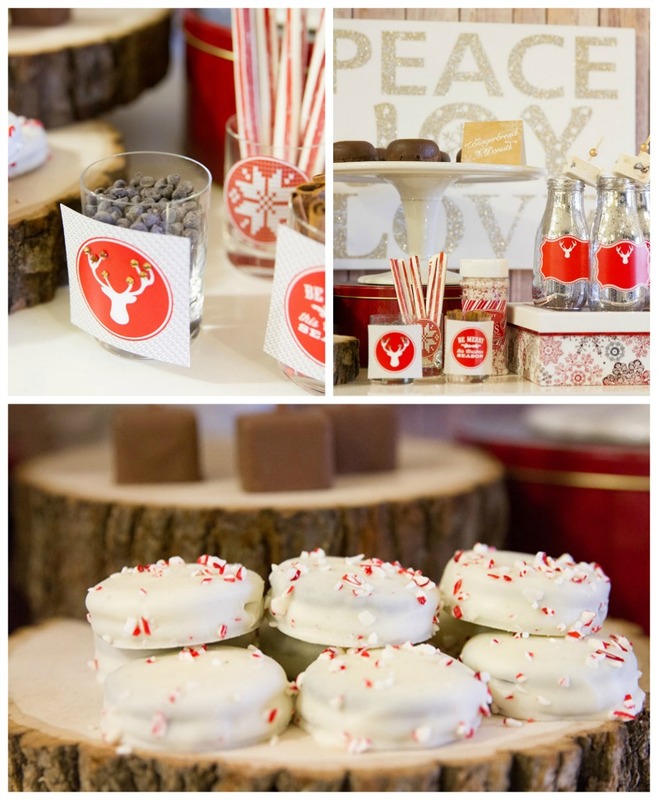 There are so many fun ways to spice up your hot cocoa too, and having all sorts of fun mix ins is what really makes the hot cocoa bar! 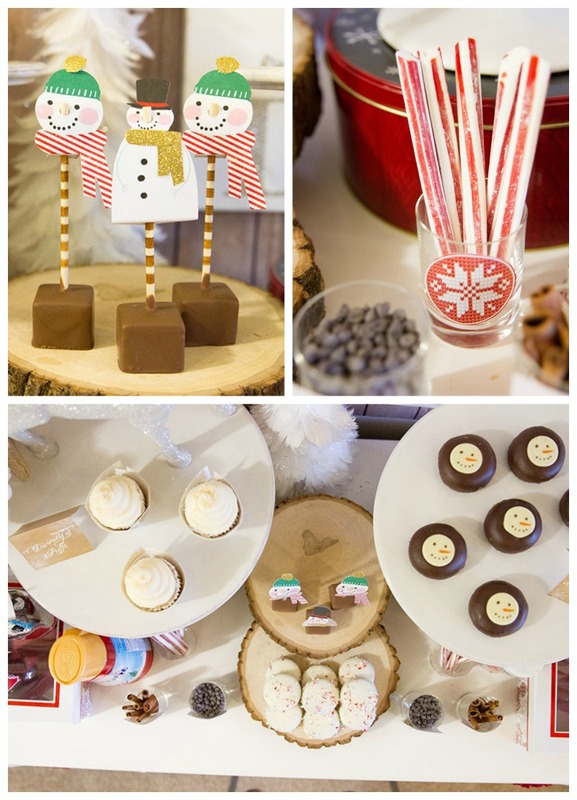 On our bar, we had some lovely and cozy mix ins like peppermint and caramel sticks stirrers, chocolate chips, cinnamon sticks, caramel and even chocolate chip marshmallows! All sorts of different things to really make some delightful flavors. 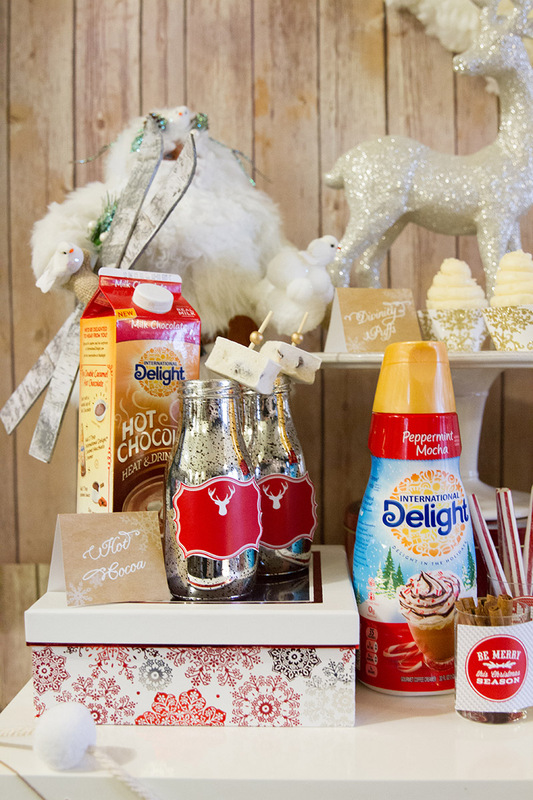 One of our favorite additions to our hot cocoa bar this year is the new International Delight Hot Chocolate. It is seriously so good and comes completely mixed and ready to go. Just heat, pour and serve. 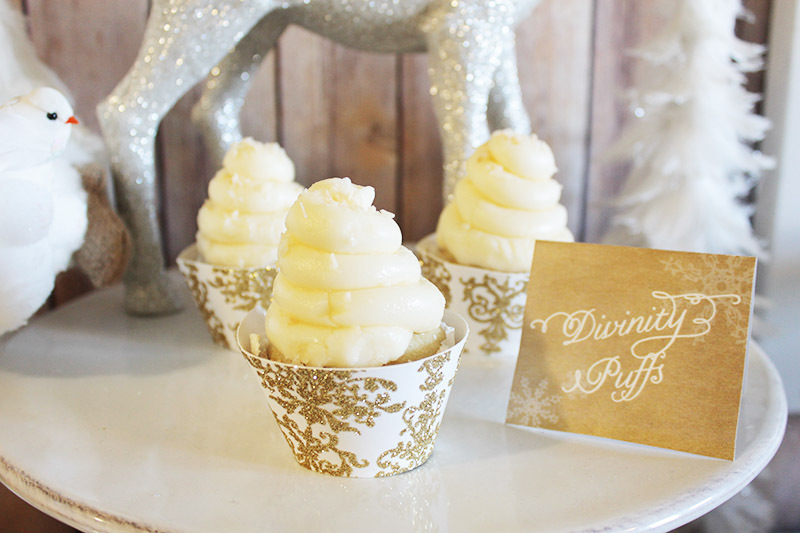 It’s amazing, especially for parties and hot cocoa bars! 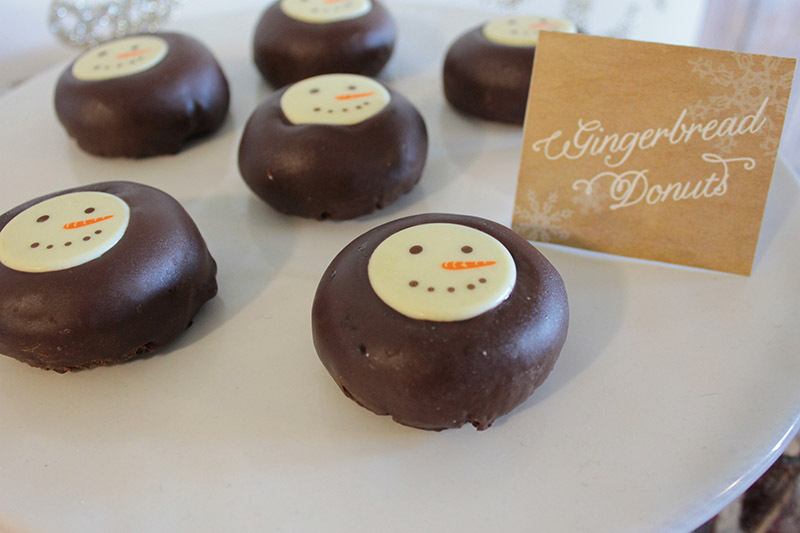 We added in a few of our favorite wintery treats to the bar to grab while you are enjoy your mug of cocoa too. 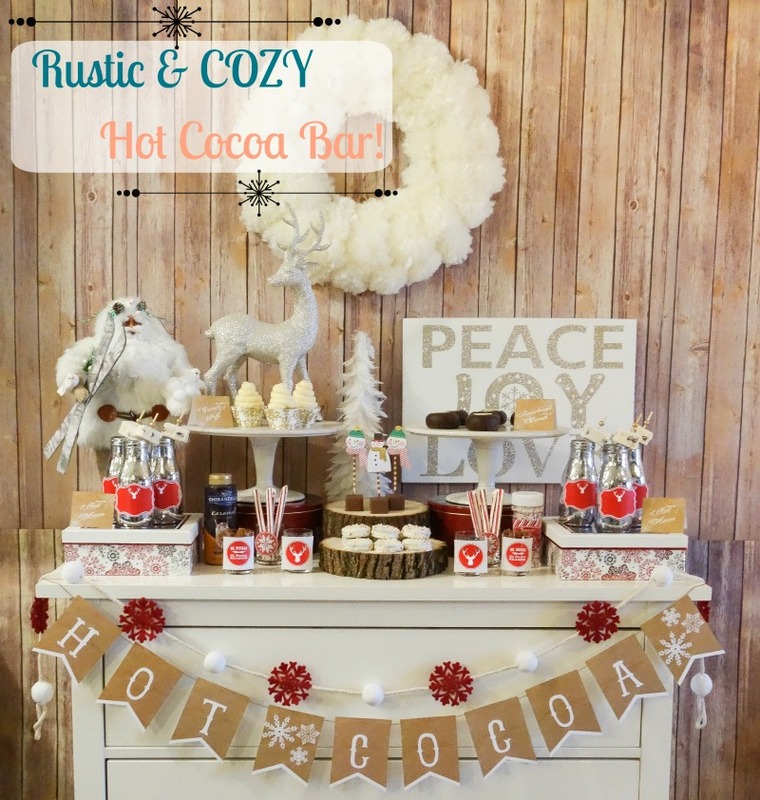 We know after looking all of the eye candy at this rustic and cozy hot cocoa bar, you will want to grab a blanket and a mug of International Delight Hot Chocolate. Enjoy! -Gold Striped Caramel Stir Sticks Topped With Snowmen! 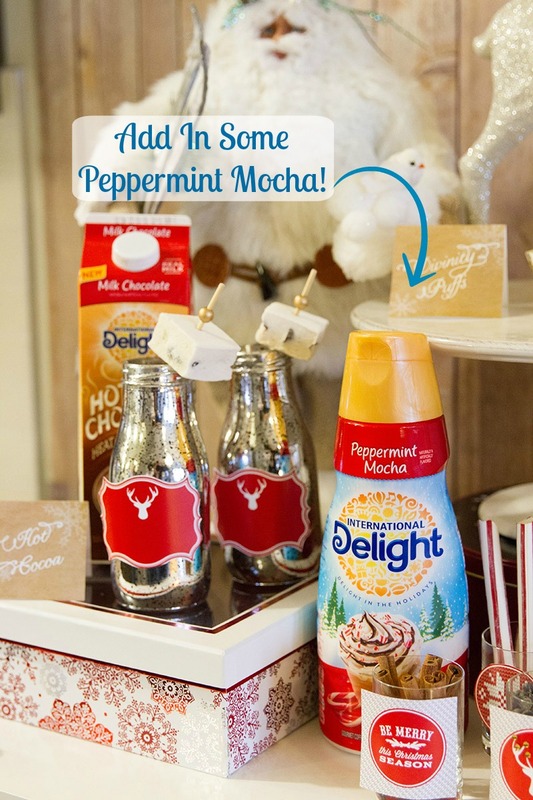 We would love to hear what your favorite spiced up hot cocoa recipe is and so would International Delight! 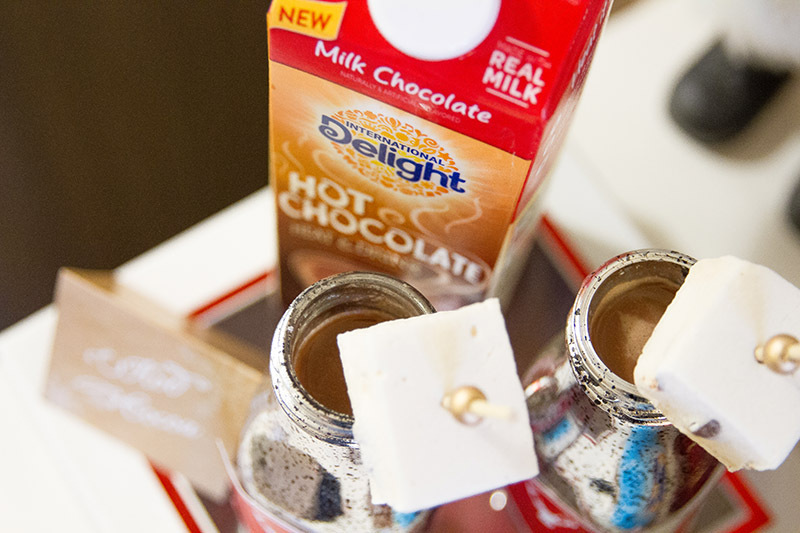 Visit InternationalDelight.com to share your hot chocolate ideas and other ways International Delight helps you capture the spirit of the season. 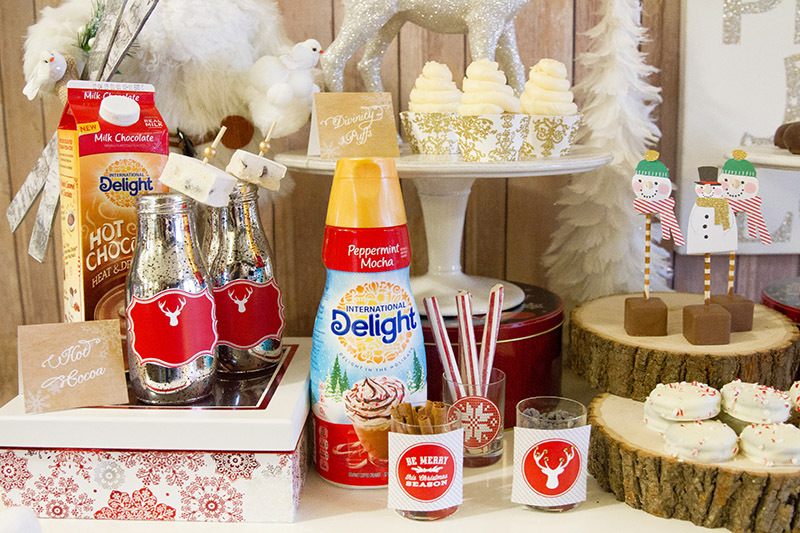 When you share, you can enter to win a $5,000 holiday brunch for friends and family hosted by International Delight! 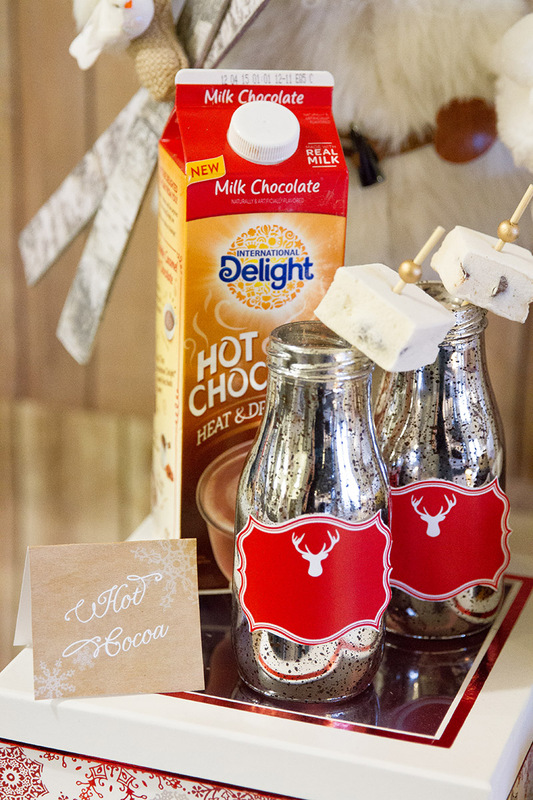 18 Ways To Make Hot Chocolate Hot Cocoa Bars We Love! 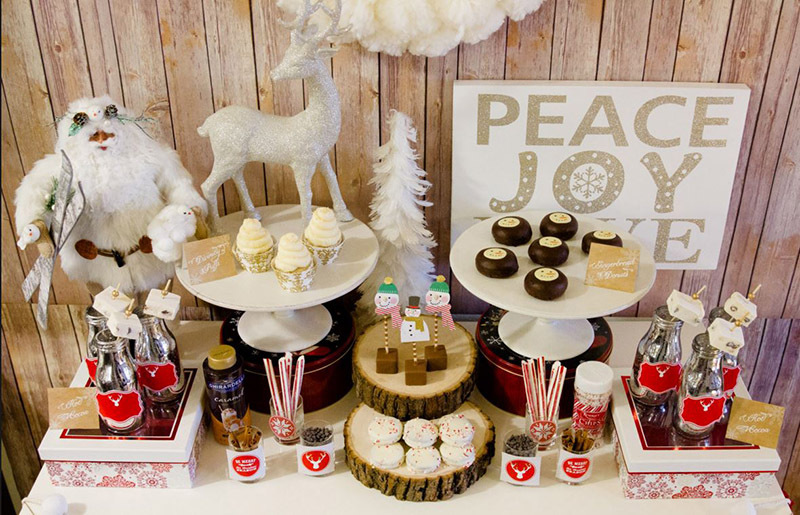 14 Twists On Hot Cocoa Christmas Countdown Day 13: Hot Cocoa Bars! 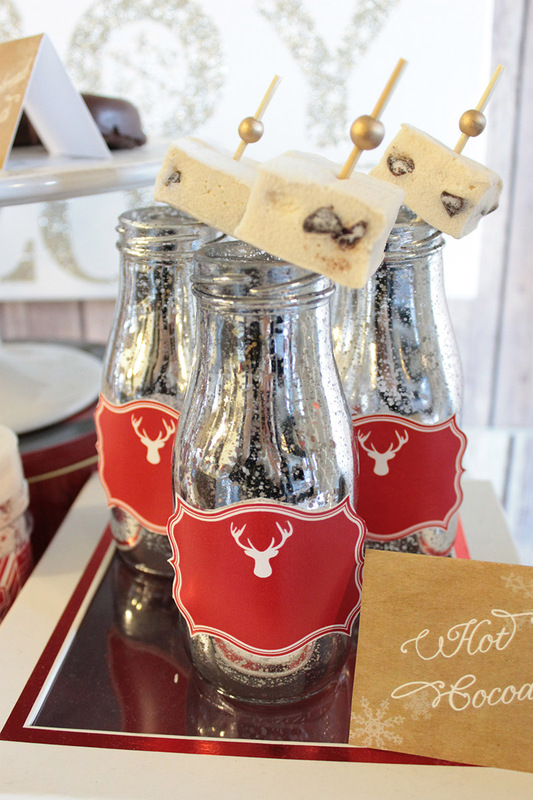 This is so pretty, I just love those milk bottles!